Having a properly functioning air filter is your lawn mower's first line of defense against the dirt and debris that is kicked up during the mowing process. When the air filter is in good condition and working properly, it prevents dirt from entering the engine through the carburetor. But if the air filter is worn out, dirt and other debris can make their way into the engine. Cleaning or replacing the air filter is some simple lawn mower maintenance that will improve performance and extend the life of your mower. Clean the foam pre-cleaner every 25 operating hours. Replace the paper air filter once per season or after 300 hours of operation. In dusty conditions, more frequent cleaning and replacement may be necessary. A lawn mower's air filter is usually located near the top of the engine and is encased within a metal or plastic shroud that is usually secured by a screw or with snap fittings. There are several types of air filters on the market: some are foam filters that require oil, some are paper and some are hybrids that include both a foam element as a pre-filter and a paper element as the main filter. Stop the engine and wait for all moving parts to stop. Clean the foam pre-cleaner with compressed air or rinse with water, cleaner, diesel or gas and dry. Remove the old paper filter and discard. Insert a new air filter. Replace the air filter cover. 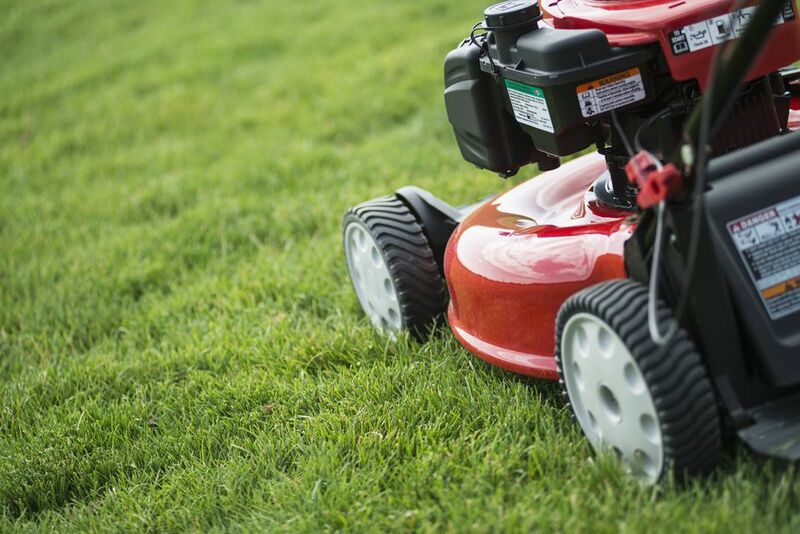 Do not operate the mower without an air filter or pre-cleaner as serious engine damage can occur. Do not try to clean paper filter. Replace with a new one. Replacing a lawn mower's air filter is not at all difficult and you can do it in your own garage. Remove the screws or undo the clips that secure the lawn mower's protective shroud (covering) over the air filter. Remove the air filter. For a paper filter, gently tap it on a flat surface to remove any loose dirt. Examine the filter and hold it up to a bright light source. If the filter's paper element blocks a significant amount of light, then it's time to replace it. For a foam filter, look for telltale brown or yellow staining, which indicates it's time to replace it. Inspect the pre-filter (if the mower is so equipped). The pre-filter is almost always made of foam, and if it has become stiff, brittle or significantly stained, replace it. Clean the air filter housing with a dry cloth. Do not use solvents, as they can damage the air filter element. And do not use compressed air, which could force debris down the throat of the lawn mower's carburetor. Insert the new filter element into the air cleaner assembly. Reattach the protective shroud, being careful not to pinch or otherwise damage the air filter element in the process. Never force the shroud into place. If it does not reassemble easily, you've probably inserted the new filter element incorrectly.